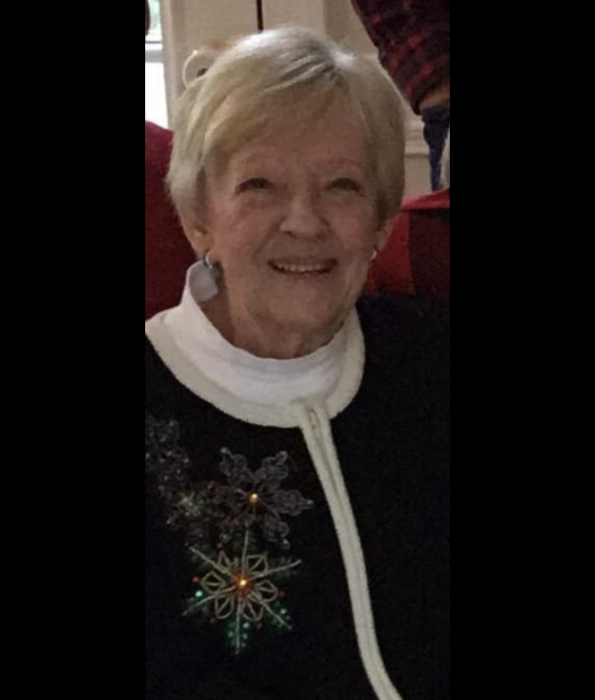 Cary, NC – Nancy Hamill Flaherty, 85, passed away unexpectedly on Tuesday, March 26th, 2019, at her home. Born October 20, 1933 in Boston, MA, she was the daughter of the late Francis Hamill and Helene Faller Hamill. She leaves her husband of 66 years, David Thomas Flaherty; her son, David Jr; grandchildren Alex, David III; son, Steve; daughter, Debbie(Jeff); son, Jon(Jenny); granddaughters, Ashley Burke(Ryan); Hannah Oliver(Evan); son, Bobby(Karen); grandson, Robert; great grandchildren, Mickey, Preston, and Molly. In her younger years she was an avid ice skater and was known affectionately as “Sugar.” She married Dave and they relocated to NC in 1956. Nancy was Dave’s strongest supporter throughout his political and business careers. She loved nothing more than being with family and she had a special place in her heart for all animals. She was loved and cherished and will be greatly missed. The family will have a private celebration of her life. Memorials may be made to the SPCA of Wake county. Please sign the online guestbook at www.jenkinsfuneralhome.net. The Flaherty family has entrusted arrangements to Jenkins Funeral Home and Cremation Service in Newton 828-464-1555.